Thursday, April 30th, 7 p.m.
Wellesley Books and Wondermore are co-sponsoring a special author reading and book-signing event. We’re thrilled to be hosting Newbery Honor winner and New York Times bestselling author Rita Williams-Garcia. 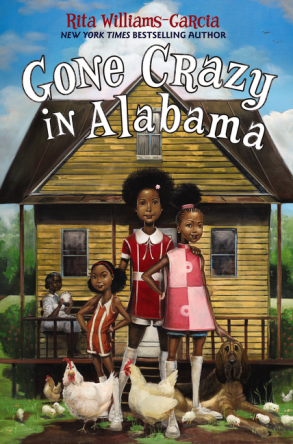 Rita joins us to share her powerful and funny new book, Gone Crazy in Alabama, a companion to the award-winning One Crazy Summer and P.S. Be Eleven. As part of our mission to ignite a love of reading and good books in under-served Boston classrooms, Wondermore will sponsor Rita’s visits to two lucky Boston schools while she’s in town. Free and open to the public. Learn more here. Wondermore and Tenacre Country Day School present a celebration of Books and Baseball! Our featured speaker is award-winning children’s author and illustrator Matt Tavares who has written and illustrated 16 picture books, among them seven awesome titles focused on baseball. 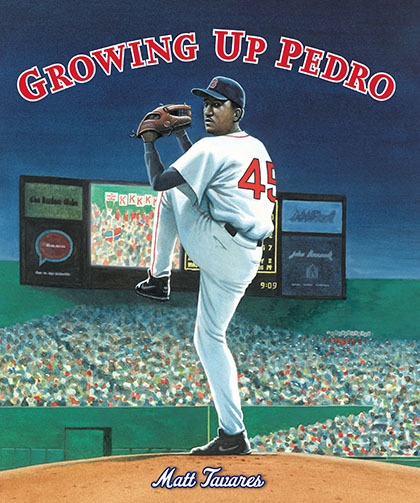 Growing Up Pedro, about soon-to-be Hall of Famer and Red Sox star pitcher Pedro Martinez. Free, but space is limited. Learn more here. Register here.